Cappuccino Eggnog Angel Food Cupcakes are a light treat. 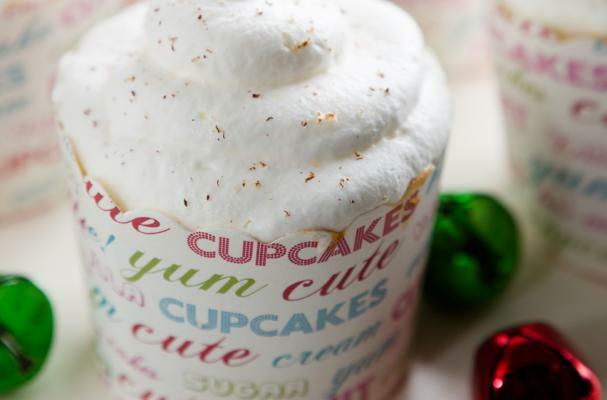 Made by Stef of Cupcake Project, the cake is "topped with a dollop of snowy white whipped cream, smell like a bag of coffee beans kissed under the mistletoe by a jug of eggnog." For the full recipe, check it out here.